Join us to discover or see again movies screened nowhere else, the quintessence of the 15th edition of festival "Quand les lesbiennes se font du cinéma." 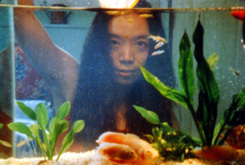 The program includes 13 feature films and 5 short and medium films, recent and subtitled. All genres are represented, fiction, comedy, more serious works, documentaries, animations and experimental films. The "Best Of Mixed" will be also an opportunity to discuss with directors that will meet their audience. And this year, a novelty! 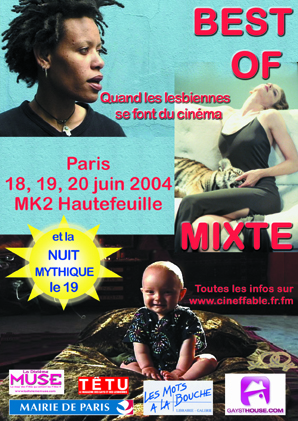 Stay with us to share the "Nuit Mythique" of lesbian cinema, Saturday June 19th from midnight till dawn. 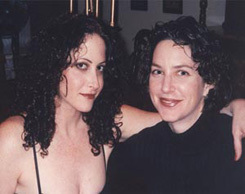 A retrospective and a quirky look at some great classics of lesbian cinema. ... and breakfast at dawn! Program 1 - friday 6 P.M., saturday 2 P.M. and sunday 8 P.M. Program 2 - saturday 8 P.M. and sunday 6 P.M. Program 3 - friday 8 P.M. and saturday 10 P.M. Program 4 - saturday 6 P.M. and sunday 4 P.M. Program 5 - saturday 4 P.M. Program 6 - friday 10 P.M. and sunday 2 P.M. Doors opening on Friday, June 18th at 6 P.M. These screenings are open to all, male and female.